I submit myself to the Lord of Universe. Truly, my prayer and my service of sacrifice, my life and my death are all devoted absolutely to Almighty alone, the Cherisher and Sustainer of the worlds. We must intensify our efforts and increase our supplication to God. Only He knows all and nothing can happen except by His Will. O my Lord! give us the best of this world and the best of the hereafter and save us from the Hellfire. O my Lord! Imbue the heart of all your creatures across the globe with mercy, love, and peace. O Almighty! Give us the strength and wisdom to wage peace all over the world. O my God! You are the source of peace; peace flows back and forth from You; Our dear Lord bless us with peace, exalted You are, O Lord of Majesty and Honor. O my Lord! I seek refuge in You that anyone of them exceeds the limits on me or that they oppress me. O my Almighty! make the peace movement grow stronger and more powerful so it can divert humanity from the path of destruction to the path of peace, justice, and co-existence. O Lord of the worlds! grant me safety and peace and do not appoint any creation of Yours over me with such a thing which I cannot defend myself against nor resist. O Almighty, I ask You (to enable me) to do good deeds and avoid evil deeds, and to love the poor, and (I ask You) to forgive me, have mercy on me and accept my repentance. God is more powerful and overpowering then that which I am fearing and frightened of, I seek refuge in Almighty besides whom there is no deity, the being who prevents the sky from falling upon the earth except with His Order. 0 Dear Lord! I seek Your refuge from the evil of so and so servant of Yours, his army, his followers and his assistants whether they are from Jinn or human species. 0 God! be my Protector from their evil, Your Praise is lofty and great and the person taking refuge in You is always overpowering and (none) is worthy of worship except You. Finally, I would like to say Alhamdulilah for everything Almighty Allah has blessed me with. If I have misinformed or misrepresented anything, may Almighty Allah forgive me and bless me with friendship of those who would correct me. 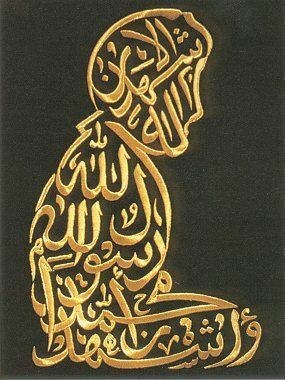 And anything that has benefited someone, may Allah's blessings go to those teachers who transmitted the knowledge to me. May Almighty Allah have mercy on me, my family and ummath of Mohammed SAWS. Prayer is related to purity of heart. As we forgive others, God perpetually forgives us. Forgiveness is one of the deepest parts of love because it is one of the most difficult to give. But anger is devastating to prayer.